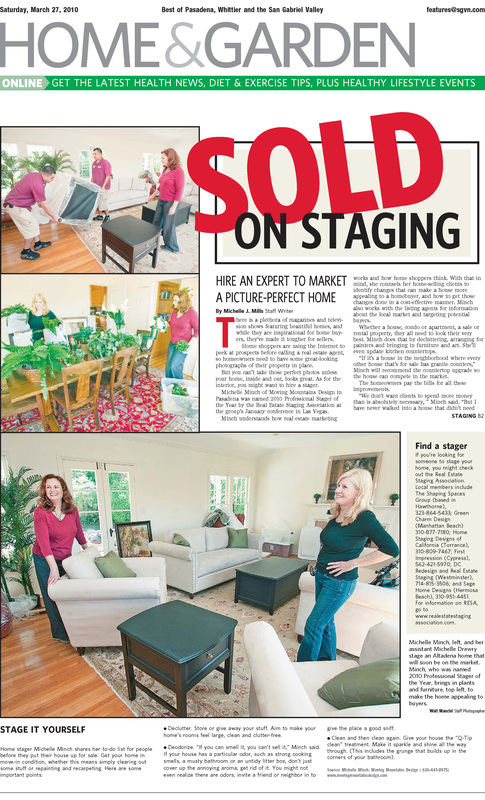 The Pasadena Star News published a featured article today (3/27) in the Home & Garden section about the importance of hiring a professional homes stager. Minch understands how real estate marketing works and how home shoppers think. With that in mind, she counsels her home-selling clients to identify changes that can make a house more appealing to a home buyer, and how to get those changes done in a cost effective manner. Click here for a PDF to learn more about hiring an expert home stager to market a picture perfect home page one and page 2.